Catherine is a Research Project Manager at the University of Exeter Medical School. She works in Professor Andrew Hattersley's diabetes research team, focussing on stratified medicine in type 2 diabetes. She manages the TriMaster clinical trial, a randomised double-blind three-way crossover trial of third-line diabetes therapies which aims to improve diabetes care by identifying groups of patients who may respond better to certain diabetes treatments. This multicentre study is one strand of the MRC-funded MASTERMIND project led by University of Exeter. In addition, she supports MASTERMIND partners at seven academic institutions whose work includes statistical analysis of trial data and health economic outcomes. 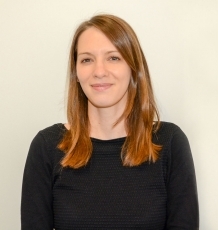 Catherine joined the University of Exeter in 2010 as part of the diabetes research team and has worked in clinical trial, research and project manager roles. Based in the NIHR Exeter Clinical Research Facility and UEMS Medical School, she has worked on clinical research projects in diabetes, including genetics of diabetes and stratification of Type 2. Previous studies include the MASTERMIND and RetroMASTER clinical studies, work with the Stroke Research Network as the coordinating centre for English-sites in the INTERSTROKE study and the EU FP7 CEED3 research project. Catherine's work is largely in clinical trials and research projects linked to stratification of Type 2 diabetes. Angwin C, Pearson E, Hattersley A (2016). Crossover studies can help the individualisation of care in type 2 diabetes: the MASTERMIND approach. Practical Diabetes, 33(4), 115-117. Full text. Shakweh EY, Shields BM, Angwin CD, Rodgers LR, McDonald TJ, Pearson ER, Hattersley AT, Jones AG, Consortium M (2018). Precision medicine in Type 2 diabetes: is variation in response to sitagliptin and gliclazide therapy related to drug levels?. Author URL. Grubb AL, Patel KA, Oram RA, Hill AV, Angwin C, McDonald TJ, Weedon MN, Hattersley AT, Shields BV, Jones AG, et al (2017). Development of a risk calculator to identify patients with Type 1 diabetes who will require early insulin therapy. Author URL. Jones AG, Angwin C, Hammersley S, Rogers L, Shields BM, Pearson ER, Hattersley AT (2016). The DPPIV inhibitor sitagliptin lowers postprandial glucose without improving postprandial insulin secretion: a MASTERMIND study. Author URL. Dennis JM, Hattersley AT, Weedon M, Angwin C, Rodgers L, Pearson ER, Henley WE, Shields BM (2015). Development of oedema is associated with an improved glycaemic response in patients initiating thiazolidinediones: a MASTERMIND study. Author URL. Full text. Dennis JM, Hattersley AT, Weedon M, Angwin CD, Rodgers L, Pearson ER, Henley WE, Shields BM (2015). Patients who develop oedema on initiating thiazolidinedione therapy have an improved glycaemic response: a MASTERMIND study. Author URL. Full text. Rodgers LR, Pearson ER, Hammersley S, Angwin CD, JMcDonald T, Shields BM, Hattersley AT, Jones AG, Consortium MASTERMIND (2015). Patients with a high fasting glucose respond better to sulphonylureas than dipeptidyl peptidase IV (DPP-IV) inhibitors: a MASTERMIND study. Author URL. Rodgers LR, Pearson ER, Angwin CD, Hammersley S, McDonald TJ, Shields BM, Hattersley AT, Jones AG, Consortium M (2015). Response to glucose lowering therapy can be assessed by a brief period of treatment withdrawal: a MASTERMIND study. Author URL.